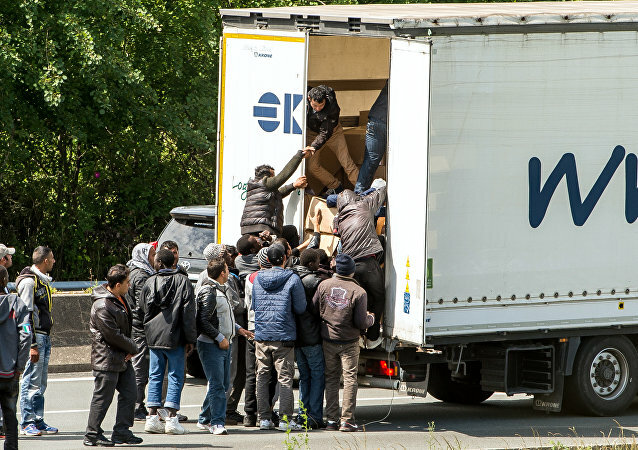 The convicted smugglers were to deliver a shipment to a London funeral parlour and apparently decided along the way to grant a new life in Britain to an illegal migrant, helping him to cross the border in a box normally reserved for a person’s final resting place. The French customs authorities, however, turned out not to be so easily duped. No politician from the EU or UK has visited Calais and northern France as much as I have. I've met the mayors, police, migrants, NGOs and have been into the various jungles. I went again two weeks ago, for the first time with security. UK Brexit secretary Dominic Raab came under fire on Thursday after saying he "hadn't quite understood" the importance of British trade with Europe. 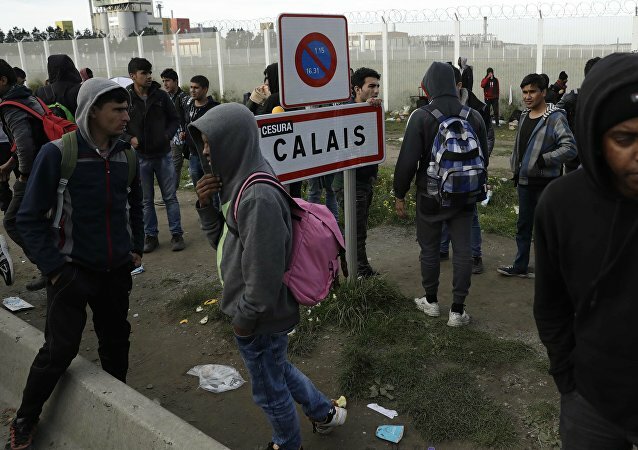 MOSCOW (Sputnik) - French Interior Minister Gerard Collomb met with mayor of Calais Natacha Bouchart on Monday and welcomed the "great improvement" of the migration situation in the port city, the Interior Ministry said in a statement. Despite their efforts, the migrants were ultimately unable to remain concealed inside the vehicle and were removed by cops alerted by concerned citizens. Having sought formal state protection from vegan lobbyists in June, farmers and butchers apparently still retain the last word, especially given the sweeping unpopularity of their opponents’ bills in the parliament of a country so proud of its boeuf bourguignon and foie gras. 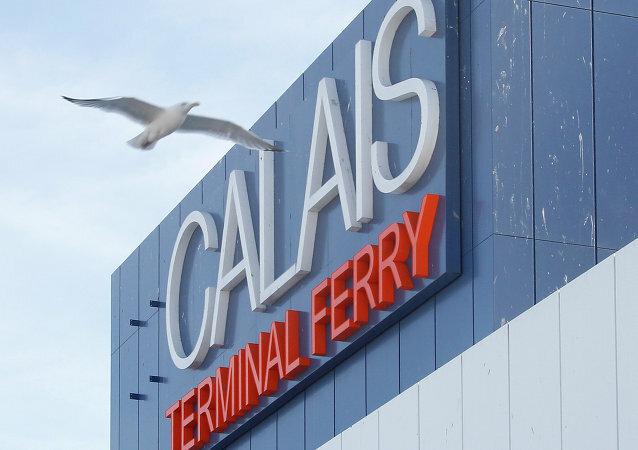 MOSCOW (Sputnik) - French authorities have been ignoring claims that volunteers working with migrants in the city of Calais, located near the English Channel, have repeatedly been intimidated and assaulted by police, the French Auberge des Migrants charity, operating in the area, told Sputnik. A new report released today has disclosed a number of documented offenses against volunteers. The organization has called out the municipality after severe instances of human rights abuses were revealed to the public. PARIS (Sputnik) - Four officers of a French police special unit were injured in clashes with migrants in the port city of Calais on Monday evening, BFMTV reported on Tuesday, citing sources in a prosecutor's office. MOSCOW (Sputnik) - Despite the strict EU rules against bilateral talks, the French and UK governments need to discuss Brexit directly to stave off catastrophic consequences for both sides, President of the Regional Council of Hauts-de-France region Xavier Bertrand said on Tuesday. Mr. Dowdall made the comments on Friday, July 6, while giving an overview of the work of Project Invigor, an NCA-led taskforce which is targeting people smuggling in the Mediterranean and at the UK border. British authorities have banned conservative Canadian blogger and non-fiction author Lauren Southern from entering the country for “distributing racist materials” in Luton, provoking an angry reaction on Twitter. 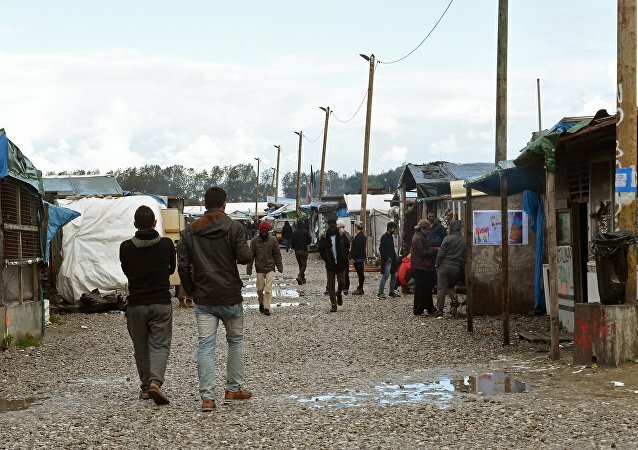 PARIS (Sputnik) - The conditions in which refugees find themselves in the French city of Calais are inhumane and not getting any better as authorities continue to restrict NGO efforts to provide humanitarian aid, French non-governmental organization L'Auberge des Migrants told Sputnik. Last month, French President Emmanuel Macron stated that "in no case will we allow another 'Jungle' here." 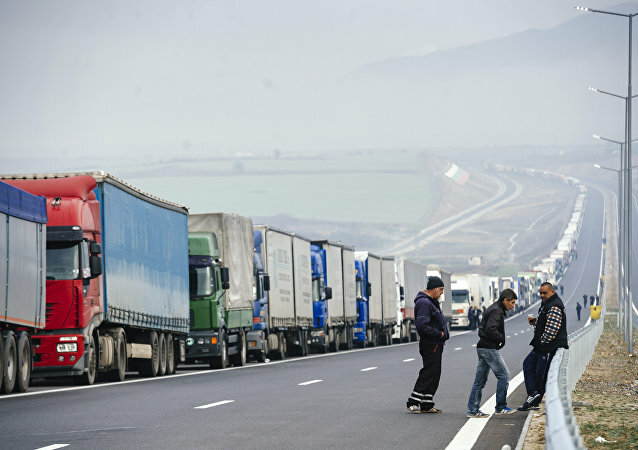 The president of the Belgian trade union Federation of Transport and Logistics (SECOP-ITSRE) Alain Durant told Sputnik France that Belgian truck stops have become a magnet for migrants and refugees seeking to cross La Manche (the English Channel). PARIS (Sputnik) - Ferry traffic between France and the United Kingdom via the English Channel was suspended due to French fishermen strikes, the P&O Ferries Freight company said on Thursday.